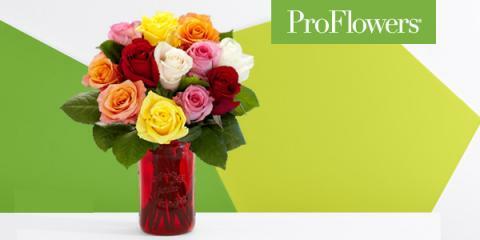 Valentine's Day is here, and if you still don't have a gift picked out, Swagbucks and ProFlowers are teaming up to give you a great deal. Order through this link (you'll be asked to create your Swagbucks account if you don't already have one) and you'll get 15% off of your order PLUS 1000 SB, which is the equivalent of $10 in gift cards at Swagbucks. The 13th is the last day to guarantee delivery on Valentine's day, so order now! In case you didn't know, Swagbucks is a rewards site where you earn points (called SB) for shopping, discovering deals (like this one), watching videos, taking surveys, and even surfing the web. Then you take your SB and redeem them for gift cards to hundreds of places including Amazon, Walmart, Starbucks, Target, or PayPal. As a special bonus to you, if you sign up through me through this offer and get the 1000 SB, you'll get a bonus 300 SB at the beginning of March. That's $13 total PLUS 15% off your Valentine's Day order.